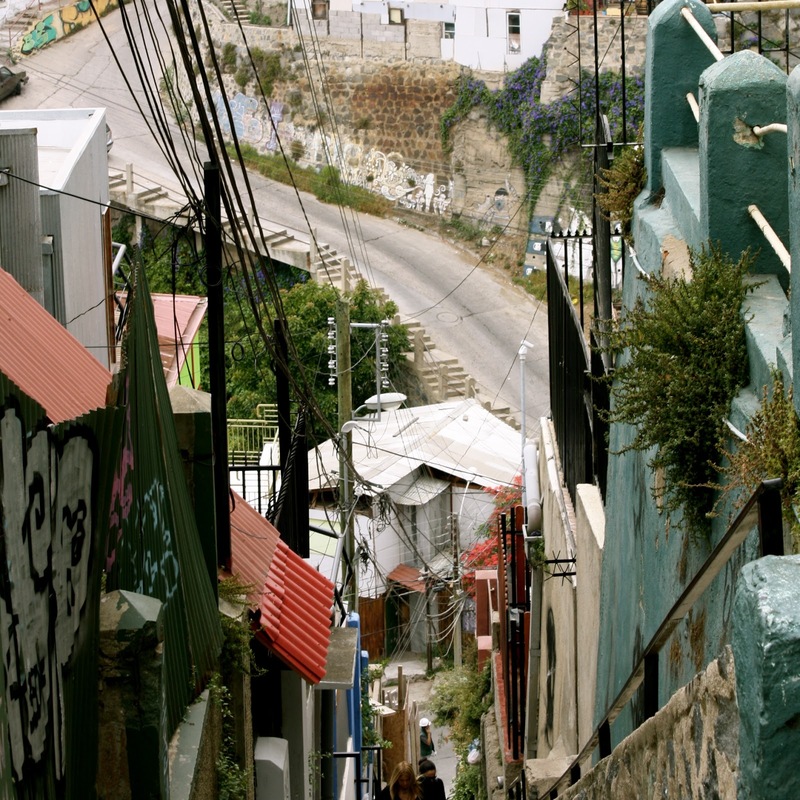 If I had to describe Valparaíso in a phrase I would say San Francisco meets favella meets Dr. Seuss meets poetry meets street art. Unfortunately, it wasn't the most splendid day to explore this city. Fortunately, Debs and I both are sporty kiddos that have the cardiovascular and muscular endurance which are prerequisites of walking -climbing- through the streets of Goin'toparadise. Pablo Neruda loved Valparaíso. Sailors have loved Valparaíso. Musicians have loved Valparaíso. Artists have loved Valparaíso. Lovers have loved Valparaíso and loved in Valparaíso. How to say swallow (as in, the bird) in 10 different languages. The types of street art you can find in this bay city. "Why do, when feeling yellow, the leaves commit suicide?"